A collection of cute accessories... Anne-Claire Petit takes us into a tender and obsolete world populated by surprising and funny creatures and decorative accessories with a nostalgic charm. Each piece is handmade in respect to traditional manufacturing techniques, and from natural materials that respect the sensitive skin of the little ones. Anne-Claire Petit’s creations combine authenticity and an eye for detail in order to drive us into a magic world of delightful childhood memories... The entire Anne-Claire Petit collection is handmade in a Chinese village. Women and men, neighbours or members of the same family crochet together. Their skills enable them to earn and manage their income and to live in dignity. 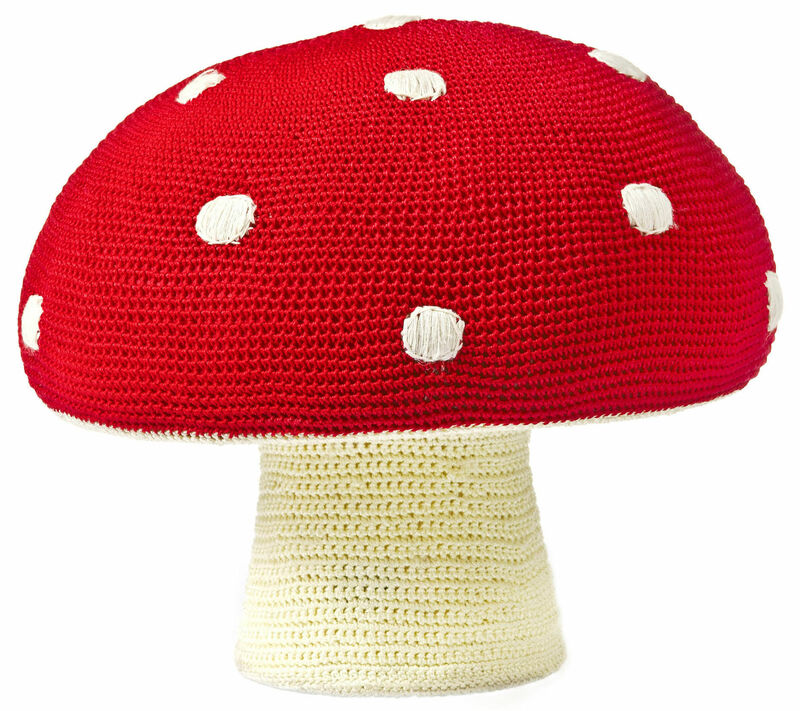 This cute Champignon Pouf in vibrant colours, entirely hand-crocheted, will add a trendy touch in any children’s room. The dimensions are perfectly adapted to the size of toddlers. The synthetic fabric is a very resistant material.